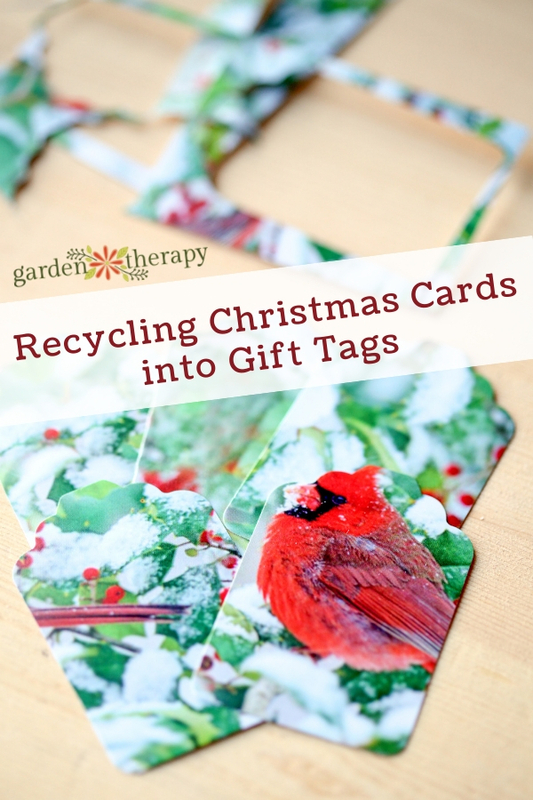 If you are still busy working on the last Weekend Project, 20 Crafty Recycling Projects You Can Make With Your Christmas Tree, you will be happy to see this quick and easy project for this week, recycling Christmas cards into gift tags. 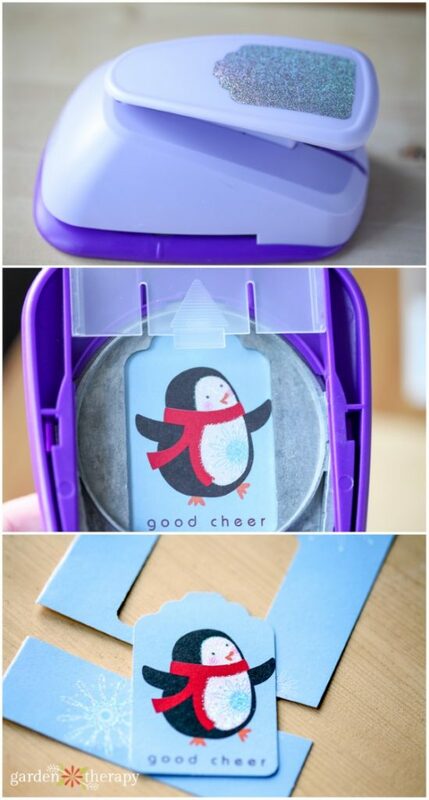 It’s simple, reduces waste, and is a great way to save the thoughtful holiday cards you were lucky enough to receive. 1. 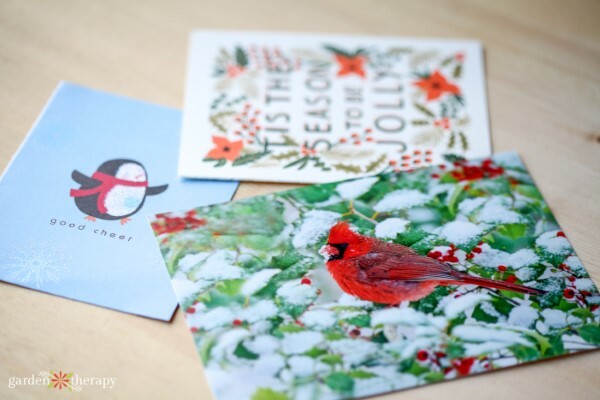 Gather all your pretty Christmas cards and recycle any parts with handwritten or personalized sentiments. 2. If you have a tag punch this next step will take mere minutes. Just position, punch, and ta-da! 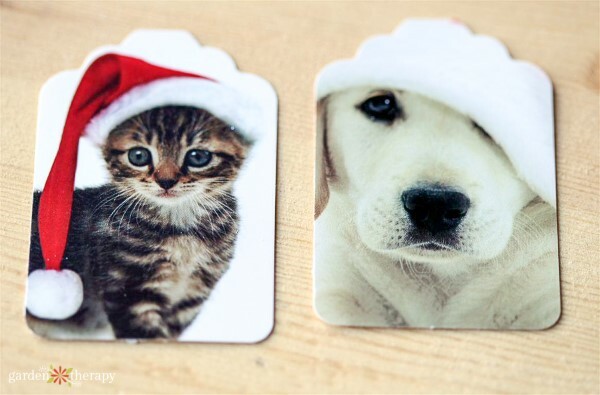 You have a gift tag. 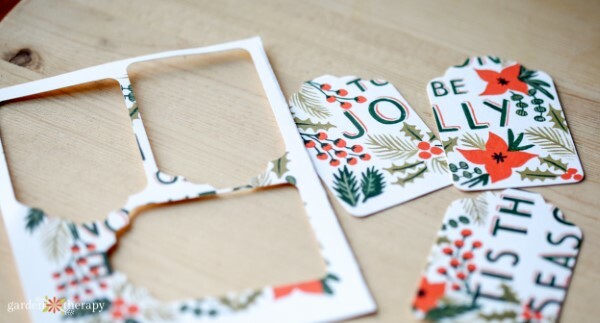 This would also work with round or flower shaped punches, or if you don’t have any of those you can use scissors. I must say that I use my punch far more than I thought I would. 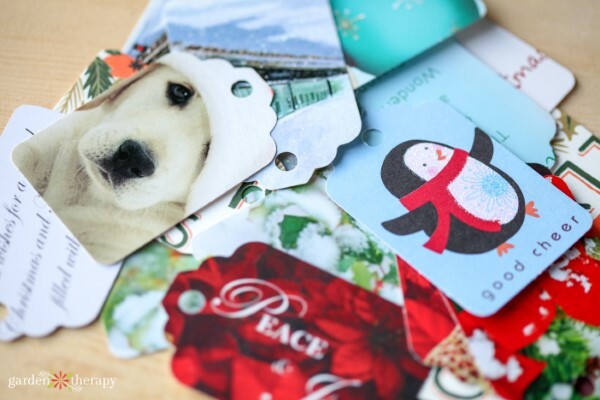 I can recycle tissue boxes, packaging, and other decorative card stock into pretty tags that are handy with all the handmade stuff I give away. …and with some you can use the sentiment as long as it fits well in the area. 4. The final step is to punch a hole in the top of each tag. 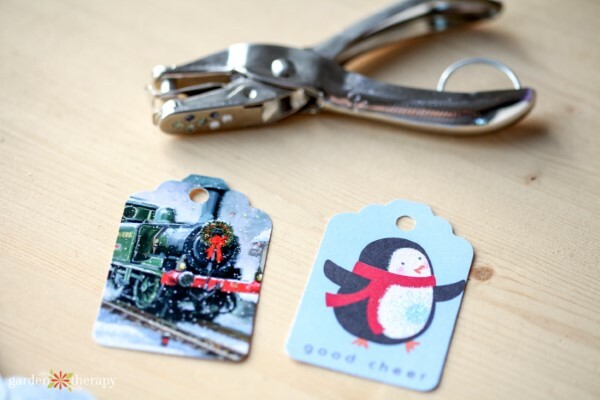 You can now store them away until next year when you unpack the tags and memories of this holiday season. Thanks for visiting the Weekend Project! With xmas around the corner, this is a excellent idea. I’ve got a ton of these old cards in the attic. And lots of variety too. Great idea, Really interesting!!. Thank for sharing!! Thanks for sharing this idea, Stephanie.This is really adorable.After reading this article I learn the real usage of cards.I will try this soon. OMG! This would have been perfect for this Chrismas. I wish I could have found this post 10 days early. Either way, you have put it so beautifully. My cat Daisy would love it.